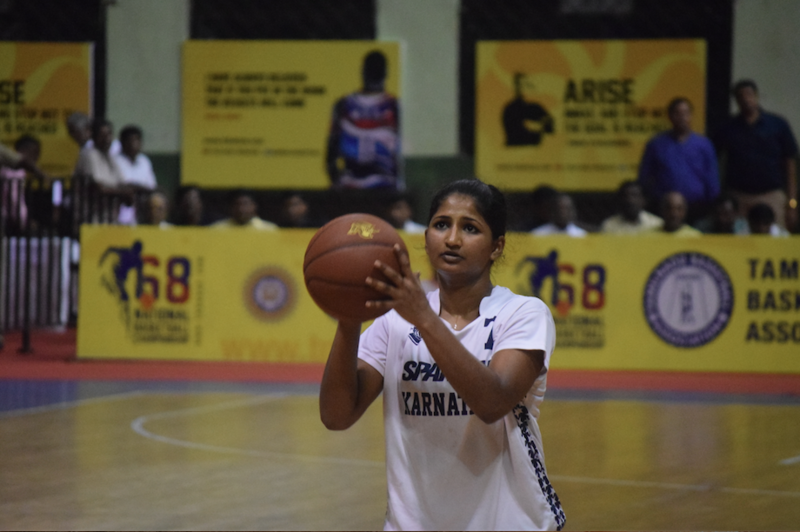 Chennai, 22nd January 2018: Day 7 of the 68th National Basketball Championship for Men and Women continued to see some fast and furious action in the semifinals. The first men’s semi final game saw Services take on Indian Railways. The Services team secured a comfortable victory over Indian Railways. The final score at the end of all quarters was 93-65. The top scorer for Services was Narendra Grewal (no 5) with 18 points and the top scorer for Indian Railways was Gagandeep Singh (no 10) with 18 points. The last men’s semi final game saw hosts Tamilnadu take on Punjab. Despite tough competition from Punjab Tamilnadu secured a comfortable victory over Punjab. The final score at the end of all quarters was 90-72. 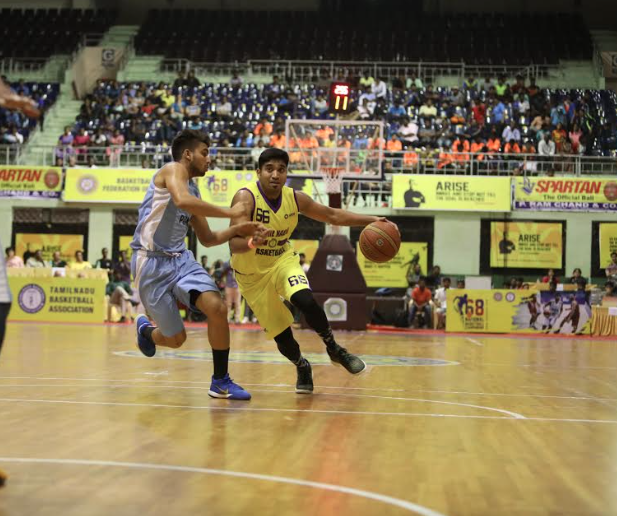 The top scorer for Tamilnadu was A Aravind (no 23) with 24 points and the top scorer for Punjab was captain Satnam Singh (no 52) with 21 points. The first semifinal women’s match saw defending champions Kerala take on Indian Railways. A close contest from the beginning saw Indian Railways beat Kerala to enter the finals. The final score was 63-76. The top scorer for Indian Railways was their captain Navaneetha (no 21) with 21 points. The top scorer for Kerala was Grima Merlin (no 11) with 21 points. The two women’s semifinal match saw Karnataka take on Chhattisgarh. This was a cracker of a game and Chhattisgarh secured the victory with just one point. Poonam Chaturvedi single-handedly destroyed the Karnataka team defence by dropping 44 points alone. The game went down to the final second as Karnataka was trailing by 3 points with just 2 seconds left on the clock and Bhandavya (27 points) attempted a three-point shot in which she was fouled. In a pressure situation, she scored the first two free throws but couldn’t convert the last one and wasn’t able to take the game to extra time. The final score at the end of the four quarters was 78-79.